This is the last newsletter for 2017 and first for 2018. 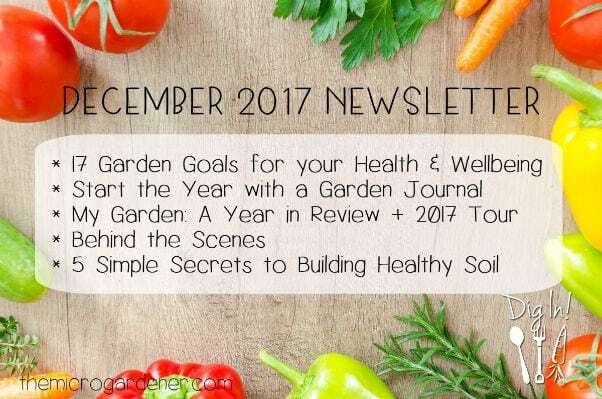 As one year ends and another begins, it’s an ideal time to pause and reflect on your garden and life. The achievements and lessons learned, as well as to plan ahead for what you’d like to grow and do. Unsure what to focus on this year? Need help with garden problems you want to resolve? Learn from past mistakes and start the year by adding one or more of these easy achievable goals to your list. 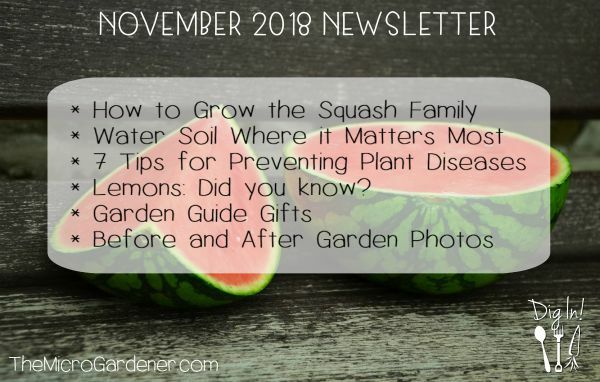 Well, the whole point of this article is to help you minimize mistakes and maximize successes and enJOYment in your garden, by being observant and recording what you see. You likely think you’ll remember what you’ve seen or done in your garden. But, it’s so easy to forget with the busyness of life, what we saw or did, and when that occurred. Where did this last year go? In a flash! Please trust me – this article is an important read. Even more so, if you’re already keeping a journal. Why? Because I share 5 ways to use the records you already have at the start of each year to help you improve even further. Check it out! Ready to start keeping a record of your garden? I created a Garden Journal Planner & Workbook with simple templates and worksheets you can use year after year for the rest of your life. It’s a sustainable, digital downloadable file and you get instant access for under $5! Every week, I write and photograph my garden observations and thought I’d share a few of my experiences and insights. 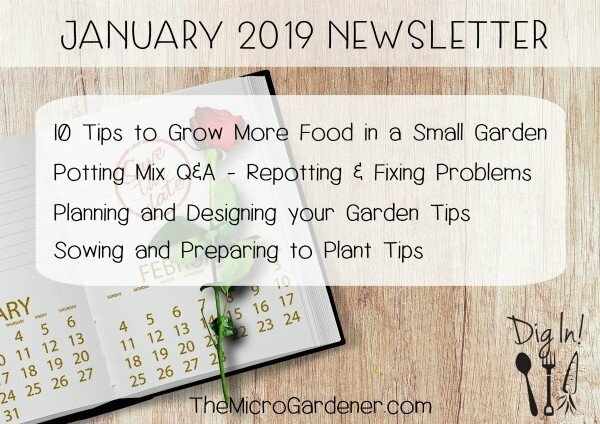 I hope my thoughts and tips inspire and help you in your own garden. It’s a great time to celebrate successes, consider solutions to resolve problems, enjoy the harvests and abundance with deep gratitude and reflect on lessons from ‘Nature’s classroom’. 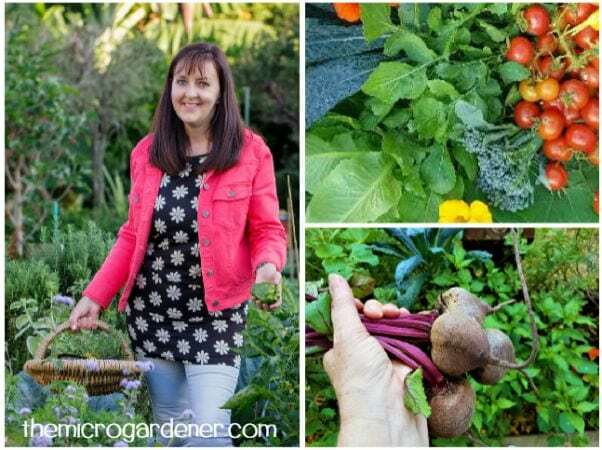 This time last year, I shared some of the harvests and photos from my garden in 2016. I find it both inspiring and incredibly beneficial to look back at what’s happened in the past 12 months. It helps me see how much has grown in that time and it’s a thrill to see my garden design plan coming together as I envisaged. I compare what has changed and improved, the harvests, any ongoing problems or those that have been resolved and what needs to go on my ‘To Do’ list for the year ahead. I was flat out all year from beginning to end and involved in over 30 events – speaking, travelling, writing, creating and delivering workshops and community engagement activities around growing food. 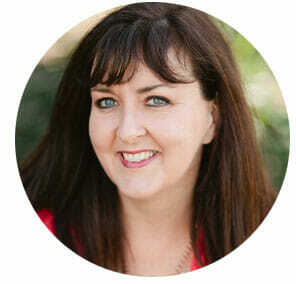 In 2017, I had the privilege of connecting with thousands of people as well as providing consultation services to my beautiful clients. With all the travelling, I spent a LOT of time packing and unpacking my car with container gardens and workshop props! I also spent time on two big projects relating to my education work and I’ll be sharing more news with you later this month. Celebrated 25 years of marriage with my beautiful husband and our gorgeous daughter got engaged. Had the privilege of winning the ‘Sunshine Coast Sustainable Business Woman of the Year’ Award. Launched my YouTube channel and Instagram to share photos of my garden. Met amazing gardeners and like-minded people at all the events I attended and am so grateful we share a passion for growing food. Saved 1000’s of seeds from my garden, planted 100’s of cuttings and propagated many new plants. Gave away seeds, plant material and cuttings from my garden to clients and workshop attendees. Potted up countless container gardens and made many of my own garden supplies. Recycled and repurposed all sorts of household items and op shop finds to live more sustainably. Raised and transplanted more plant babies than I can remember. Composted all our household food waste to grow more food. Achieved our zero waste goal. Supported local businesses who are providing sustainable and organic products and services. 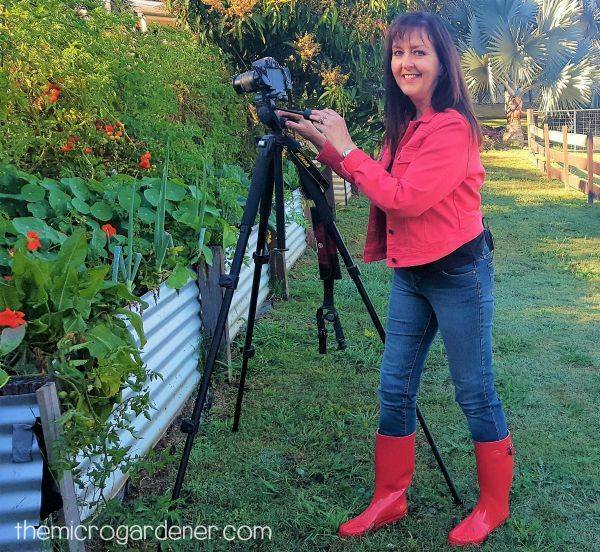 Filmed 100’s of videos in my kitchen garden and created content for my new eCourse. Had over 1 million visitors to my website and thousands of new subscribers (a warm welcome)! Harvested the most food ever in terms of weight/volume from our garden. Had a year of ‘firsts’ – first limes, mangoes, Acerola and Brazilian cherries from trees I grew from seed; harvested new varieties of dwarf bananas and preserved produce using new recipes as pestos and sauces. Phew! Like I said, it was a busy year. Later this month, I’ll be sharing some exciting news and new formats for learning. Stay tuned. 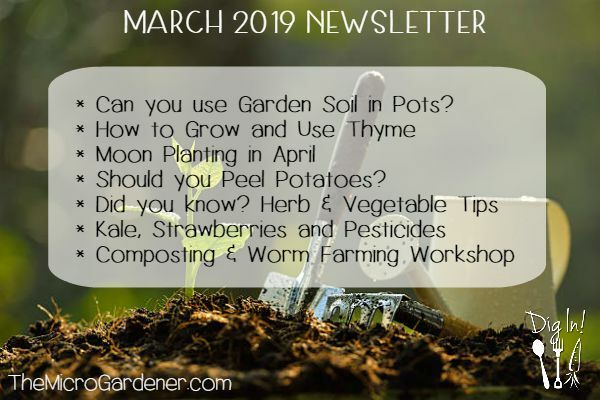 In my latest article you’ll discover how chemicals, digging and compaction, organic matter, ground covers and moisture affect soil health. 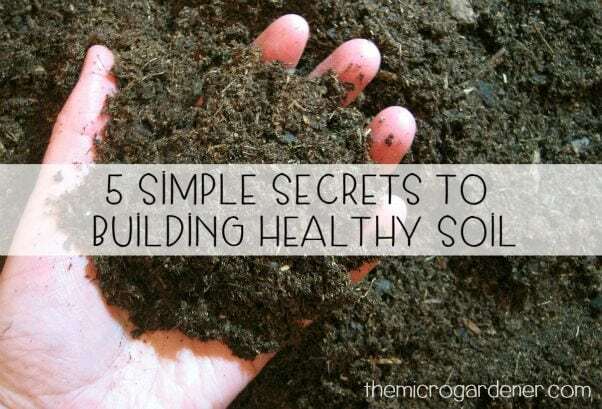 I share easy, practical tips to help you create healthy soil and plants. 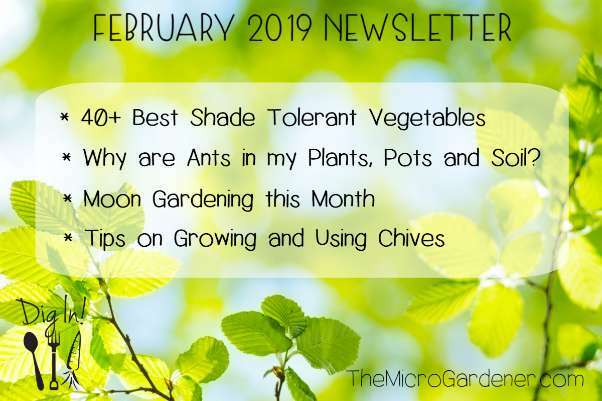 Subscribe to The Micro Gardener channel and you’ll get all my latest video lessons as they are posted and catch up on ones you’ve missed. 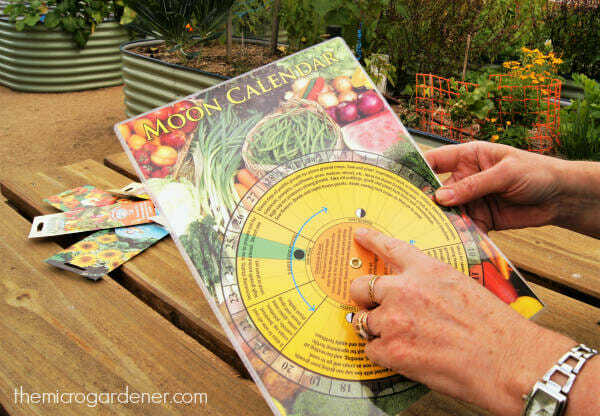 I use this Moon Calendar to optimise the best times each month to sow, propagate and feed my plants in tune with the monthly moon phases for a resilient, healthy garden. Want to see more of My Garden? Each week I share photos and videos of what I’m growing, harvesting and eating from my garden and ways I use my homegrown food. Follow me for more tips and inspiration in between newsletters. Missed the tips in my last newsletter? Missed an Article? Looking for something else? Please share and encourage your friends to join for free exclusive insights, tips and all future articles. Plus the bonus eBook gifts! Thanks for reading! Until next time, I encourage you to embrace dirty fingernails, muddy boots and the joys of growing your own. 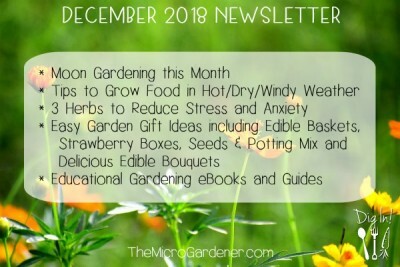 © Copyright Anne Gibson, The Micro Gardener 2017. https://themicrogardener.com. All rights reserved.